All of our canopies offer the latest LED lights with easy access hinged vapour proof diffusers. Our canopies include Baffle type filters, full perimeter condense channel and grease collection drawers all of which are DW172 compliant. 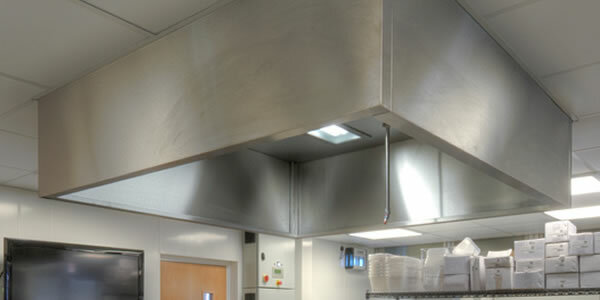 We also have our ChefTec canopies that are an off the shelf range and available in set sizes. We can offer various systems such as heat recovery that are environmentally friendly and our helpful technical staff would be happy to discuss all options with you. Each section of canopy will be fitted with cool white high output twin LED’s. Fire risk assessment by UK insurers and UK fire authorities has proven that correct kitchen grease filters selection is possibly the single most important factor in reducing the possibility of kitchen extract fires. We supply as standard a baffle type filter with close coupled baffle sections to reduce the ingress of any flames in to the main extract pod and remove a good proportion of grease. Keep ducts clean and reduce excessive cleaning. Improve hygiene and fire safety. Reduce harmful UV light by incorporating electromechanical safety systems. LeighTec also makes numerous display and demonstration canopies at the bespoke request of many customers. An example can be seen pre-delivery, still showing with protective plastic covering. Please get in touch for more details on our range of display, demonstration and road show type canopies. 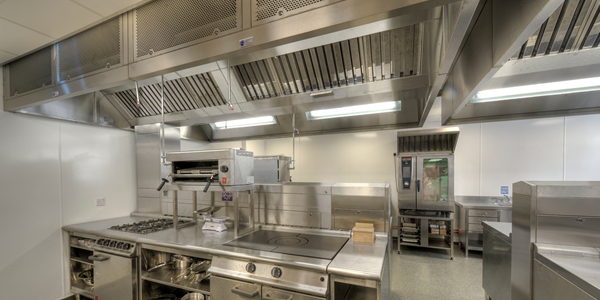 There are currently three LPS 1223 approved kitchen suppression systems on the market. 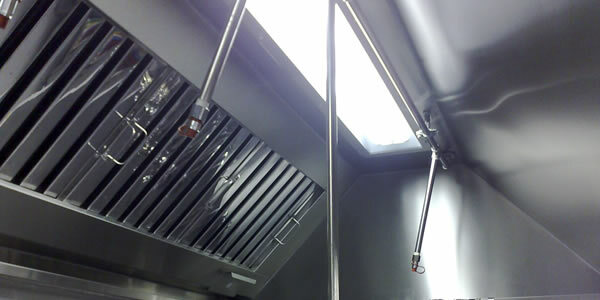 These are Ansul R102, Amerex KP and SafetyChef kitchen fire suppression systems. 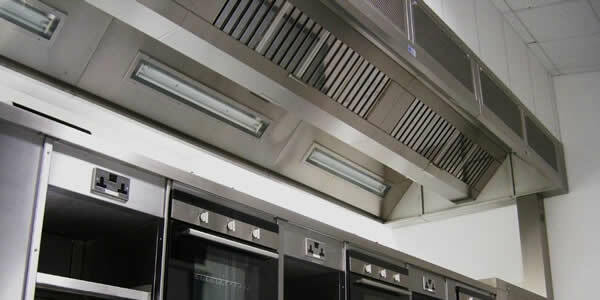 All three are effective in suppressing commercial kitchen range fires. LeighTec uses only the Amerex KP system and for more information on this directly please get in touch direct to discuss your specific requirements. The Amerex Data Specification sheet can also be viewed within our ‘Downloads’ section.